Every motorbike enthusiast dreams of finding that rare one-of-a-kind motorcycle in the possession of some old guy who just wants someone to “take good care of her”. 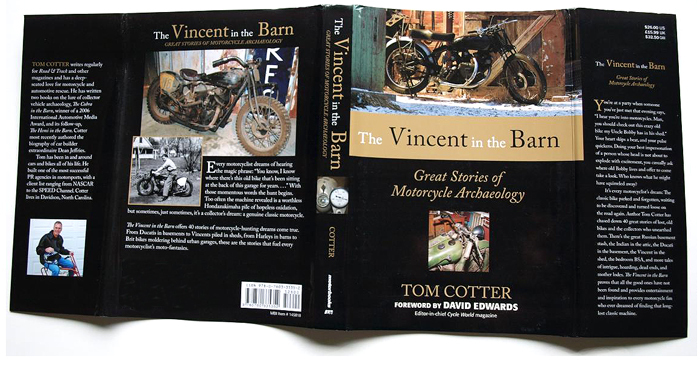 ‘The Vincent in the Barn’ is an engaging collection of 40 stories about rare motorcycles being discovered or purchased in remarkable circumstances. Written by well-known automotive author & journalist Tom Cotter – who also regularly writes for Road & Track magazine. The book features nearly every brand of bike imaginable, from Ducati’s in basements, to abandoned Vincent’s in sheds, Harley-Davidsons in barns, Triumph’s rusting in garages, a Matchless in Russia, Moto Guzzi’s, Suzuki’s, Yamaha’s, Honda’s, BSA’s, Gillera’s, Parilla’s and MV Augusta’s. These are true-life stories that all have one thing in in common – they make you want to go on a road trip searching for these hidden treasures. You can easily find the book at Motorbooks.com, but finding that priceless motorcycle may be a little harder. 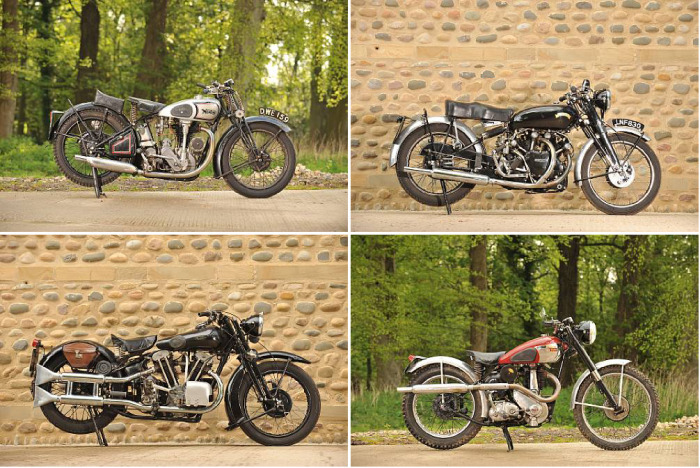 This Saturday 19th July the Ward Brothers’ Collection of vintage motorcycles and automobiles go to auction. The auction will take place at Henley-on-Thames, UK but overseas bidders are welcome via phone/online. For those collectors out there this will be one you won’t want to miss. They have a range of vintage bikes from a 1920’s AJS through to 1950’s Vincent’s, Norton’s and BSA’s (if only i had room in my garage!). They even have a very rare 1928 McEvoy-JAP that’s expected to sell for more than 120,000 pounds (thats around $200,000 us). 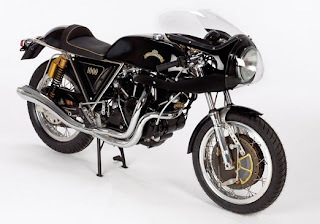 If you are interested or just want to drool over the auction catalogue visit Bonhams. 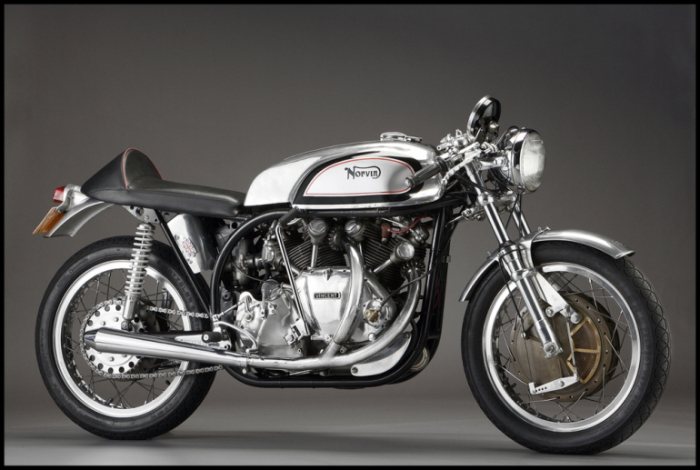 The Norvin is a very beautiful bike. 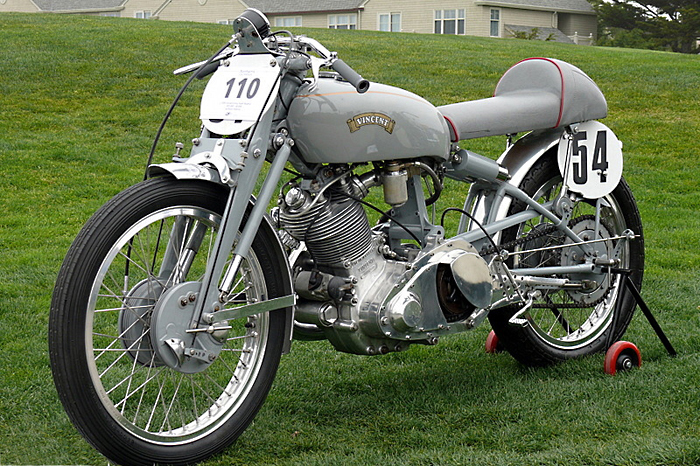 It’s essentially a Vincent engine mounted in a Norton frame and has been made since the 1950’s. 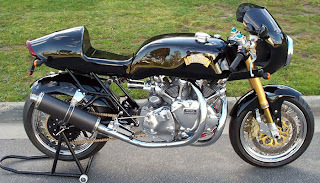 It is such an impressive looking 1000cc engine but does come with a downside. 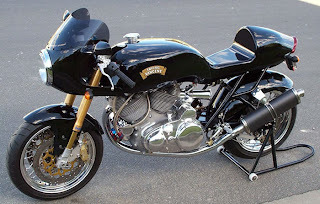 This downside is the weight of the Vincent engine which obviously effects the handling of the bike. 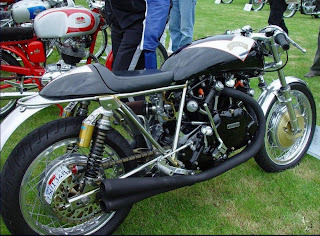 Whatever the case it’s still a classic motorcycle that has made it’s place in cafe racer history. 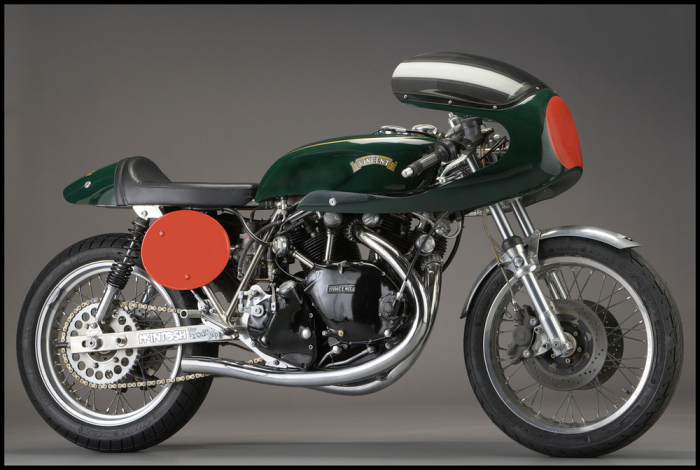 Hailwood Motorcycle Restorations in the U.K still builds brand-new 1000cc to 1200cc Vincent motors to modern specs if you are in that part of the world.